Not everyone treats gift-giving as an excuse for excess and overindulgence. If you prefer to give – or receive! – practical holiday gifts that help people improve their health or track their fitness, here’s several worth considering. We all know that, come January, the people who received your holiday presents will be working on New Year’s Resolutions like, “Get in shape.” So why not inspire them to reach those goals? These are perfect for a loved one who needs encouragement to jump start a healthy 2017 or for fitness fanatics with an active lifestyle. I’ve highlighted the spiffier gizmos, here: the things that we rarely buy for ourselves, but love to receive. 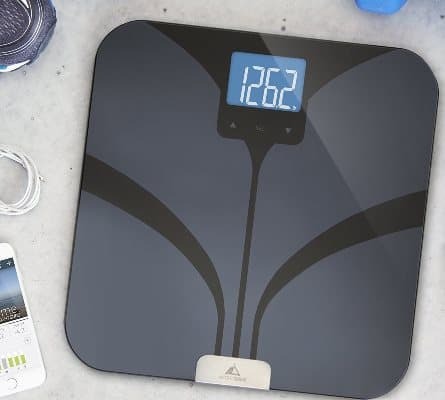 For example, if you bought yourself a bathroom scale, I’m sure you’d choose the basic model (“I don’t need more than that!”), but you’d also look longingly at a scale that connects with your fitness tracker. However, we spend a little extra for other people, don’t we? You may find less luxurious models in your own online shopping spree, but you may as well start with the one you want. If your recipient is into working out and playing sports, the options are extensive. Technology is enabling clothing and equipment to measure, monitor, and track… well, just about everything. For example, Sensoria’s smart garments measure real-time biomechanical data and improve your results. 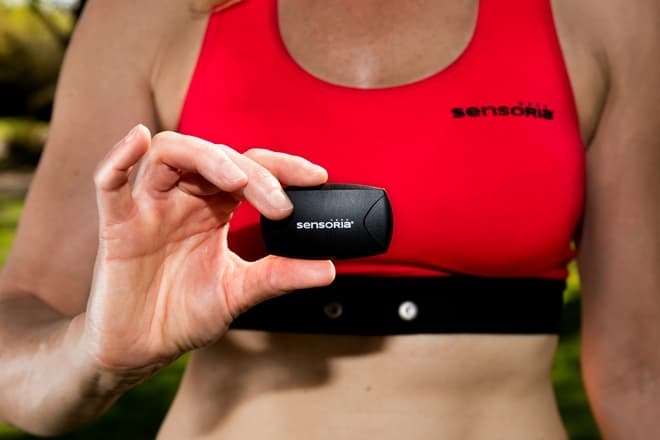 Its Sensoria Fitness Running System ($389 for women, $399 for men) includes two pairs of Sensoria fitness socks, two anklets, a heart rate monitor, and a sports bra or T-shirt. You can purchase any of these individually, of course, but together they collect an overwhelming amount of data, such as foot-landing technique, gait, foot contact time, cadence, foot impact score, average stride length, heart rate variability, and heart rate recovery. You can view your performance over time and track your progress using the Sensoria Fitness app; it also provides coaching, such as when to shorten or lengthen your stride. Another wearable fitness option is from MYZONE, which sells a heart rate monitoring system and fitness-tracking mobile app ($149.99) based on the World Health Organization’s Physical Activity Guidelines. Its game-based platform rewards effort rather than fitness, which the company claims motivates users to work harder regardless of their athletic ability. You earn MYZONE Effort Points during your workout based on heart rate, whether you’re doing running, cycling, rowing, and so on. In fact, if your gift recipients are into sports, you’ll find a huge number of sensor-based gizmos to put big smiles on their faces. 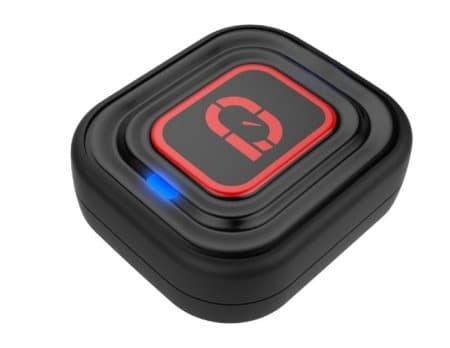 For instance, PIQ makes sensors to improve sports performance for tennis, golf, skiing, and kite-boarding; Motus Global sells motusBASEBALL, a tool for baseball players that collects and analyzes data for pitching and throwing mechanics. Good health isn’t only for leisure time. Why not help the office-bound get and stay in shape, too? Cubii ($347) is an under-desk elliptical that lets you work out at your desk, keeping track of progress with an (inevitable) mobile app. 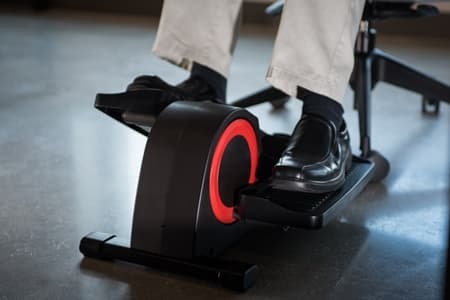 The company promises that Cubii allows your legs to move smoothly and comfortably, so you can do an under-the-desk workout with no bumped knees. It also connects with Fitbit, so every stride can count towards daily steps goals. Humanscale makes several health and wellness ergonomic products, among them two ways to transform any standard desk into an active one: QuickStand ($699.00) and QuickStand Lite ($599.00). 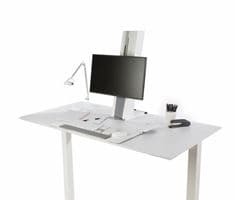 They use a patented counterbalance mechanism that permits a seamless and easy transition between sitting and standing; you lift the workstation up to a standing height and can adjust positions. A plug-and-play cable management system neatly attaches to either the back of the work surface or sits on top of the work surface, so you don’t have to wrangle with the screen and keyboard. Whether someone is trying to get (back) onto the straight and narrow or has a medical reason to watch the numbers, you might consider devices that capture actual health data. One practical gift is a blood pressure monitor, especially since more than 30% of American adults have high blood pressure. 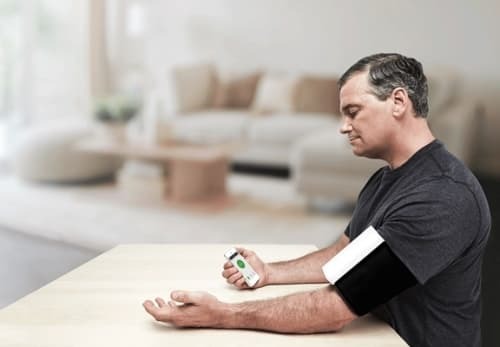 The QardioArm ($99) is a smart blood pressure monitor that works with a Qardio app to store and share blood pressure measurement data with a family member or a doctor, anytime, anywhere. On the other hand, if your loved one has been declaring an intention to lose weight and you feel that a scale is a supportive measure to help do so, there are dozens of options. My own hands-on (or feet-on) experience suggests the Greater Goods Weight Gurus bathroom scale ($49.99 at Amazon), which has a bright, backlit screen, records all sorts of health data (BMI, body fat, lean mass, water weight, bone mass), and syncs with a mobile app. But do some shopping, especially if you know the recipient’s other equipment. If your beloved has a Fitbit, for instance, it might make sense to choose the Fitbit Aria WiFi Smart Scale instead. What? That’s not enough suggestions as inspiration?! Consider gadgets to help you sleep, gadgets to help you eat better, and my recommended Paleo cookbooks.